The conference program is being formed. Abdullin Salavat, Field Theory as Oscillator System. Ahmad Shahzad, Stability of anisotropic self-gravitating fluids. 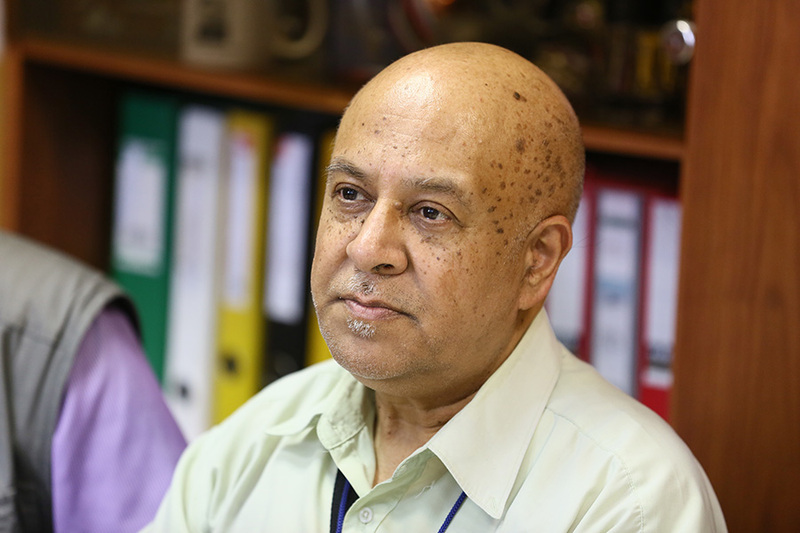 Ahmed Jamil, Black Hole Chemistry. Akpojotor Godfrey, Generalized Lie Algebraic Geometry in R3×SO(3) Configuration Space for SU(3) of Elementary Particles and for Wave-packing of Atomic Structure. Amoroso Richard, Sagnac Dual-Polarized Ring Laser Interferometric Effects of Gravity on EM-Wave Polarization. Antonyuk Pavel, On the Habble-Lemaitre law. Avramenko Arkady, Space-Time: from Indefinite at Locality to Generality at Infinite. Azmat Hina, Stability Analysis of Stellar Configurations in Modified Gravity. Balakin Alexander, Dark Fluid Electrodynamics. 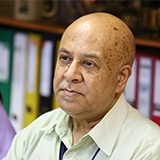 Beesham Aroonkumar, The cosmological parameter: constant or dynamical. Behera Dipanjali , Cosmic transit behaviour and anisotropic Cosmological models . Berezin Victor, Double layers in the Weyl+Einstein gravity. Bleybel Ali, On the conformal group of globally hyperbolic spacetimes. Bogoslovsky George, A curved spacetime with DISIMb(2) local relativistic symmetry and local gauge invariance of its Finsler metric. Brandyshev Petr, Higgs boson and Dark energy in conformal supergravity. 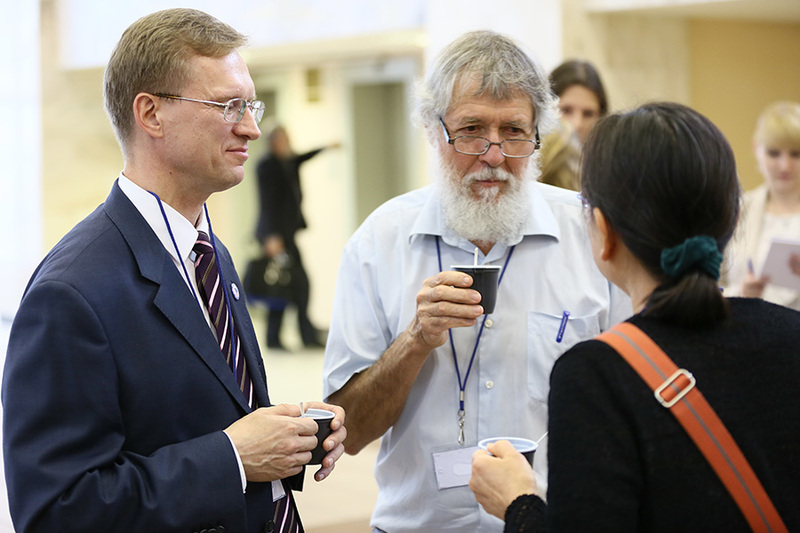 Bulyzhenkov Igor, Umov’s thermomechanics of inertial thermal energies instead of Newtonian mechanics of cold masses. Burinskii Alexander, Electron as a spinning black hole: Conceptual changes required for unification of Gravity with Quantum Theory. Chakraborty Chandrachur, First observational indication of the gravitomagnetic monopole and naked singularity. 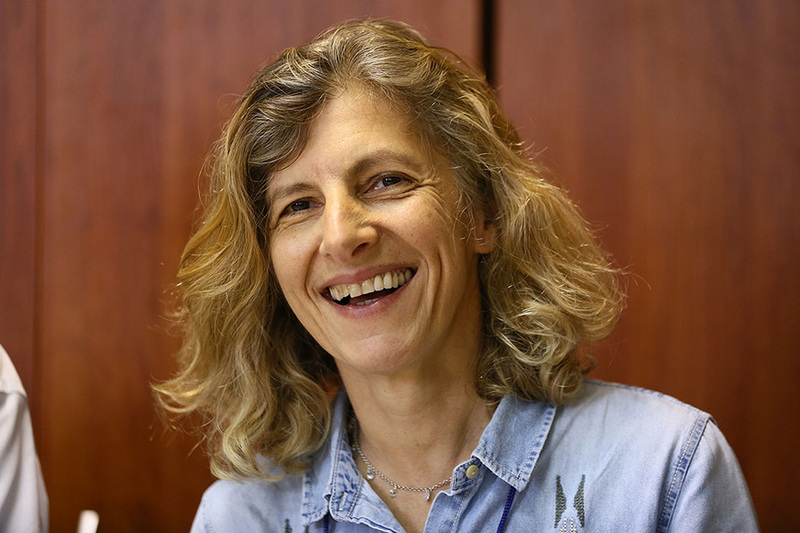 Chernitskii Alexander, Photons as solitons. Cisterna Adolfo, Homogeneous anti de Sitter black strings in General Relativity and Lovelock theory. Darvas György, Giving mass to the mediating boson of Hypersymmetry by a field transformation applying Higgs mechanism beyond the Standard Model. Das Shyam, Study of compact object within the framework of General theory of relativity. Dokuchaev Vyacheslav, Silhouette of the black hole event horizon. 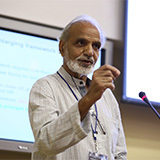 Dubey Rajesh Kumar, Gravitational Waves: An evident outcome of Theory of relativity. 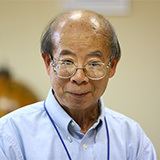 Dumin Yu., Cosmological Inflation from the Quantum-Mechanical Uncertainty Relation. Emtsova Elena, On conservation laws in Teleparallel gravity. 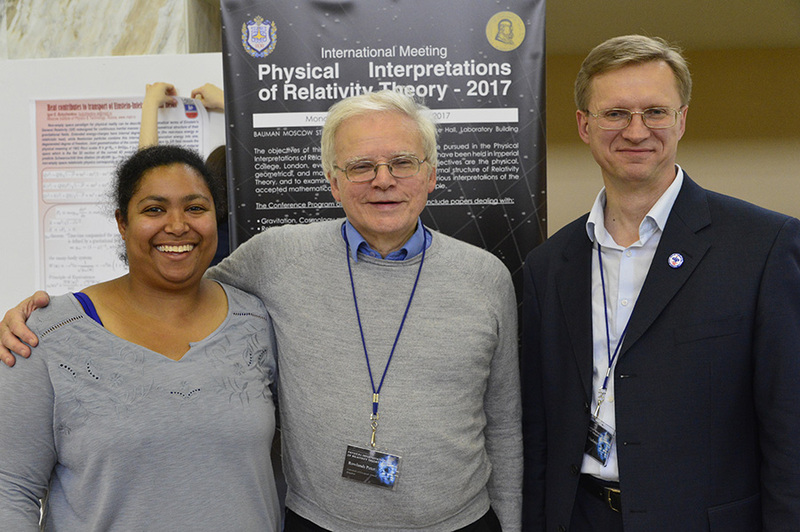 Emtsova Elena, Velocities of distant objects in General Relativity: definitions, interpretations, misconception. 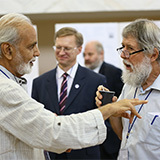 Eroshenko Yury, Global geometry if the Vaidya spacetime. 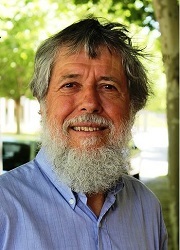 Filatov V., Pichkurenko S., Alimkina I., Paraphoton lasing in periodic dielectrics. Fil'chenkov M., Laptev Yu., Gravitational radiation from minihole coalescence and quadrupole transitions of hydrogen-like atoms. 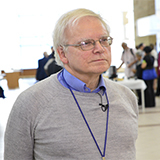 Fisenko Stanislav, Gravitational radiation and nuclear fusion. Fomin Igor, GR solutions in cosmology based on modified gravity. Frolov B., Babourova O., On the exponential decrease of the “cosmological constant” in the superearly Universe. Garat Alcides, Dynamical symmetry breaking in geometrodynamics. Gitman Dmitry, Entanglement in composite systems due to external influences. Gladush Valentin, Configuration manifolds of a spherically-symmetric system of gravitational and electromagnetic fields. 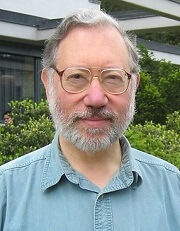 Gladyshev V., Strunin A., Luneberg Space Lens. Gladysheva Yana, Absolute calibration method for interferometer quality control of large-size optics of gravitational-wave telescopes. Gorelik Vladimir, Bound State of Photons and High Frequency Gravitational Waves excited in Media by Laser Emission. Grushevskaya H., Krylova N., Phase Transitions in Geometrothermodynamic Model of Charged generalized-NUT Black Holes. Guergouri Hichem, On the dynamic of spinning particles in general relativity. Gutierrez-Pineres Antonio C., $C^3$-Criterion for matching asymptotically flat space-times in General Relativity. 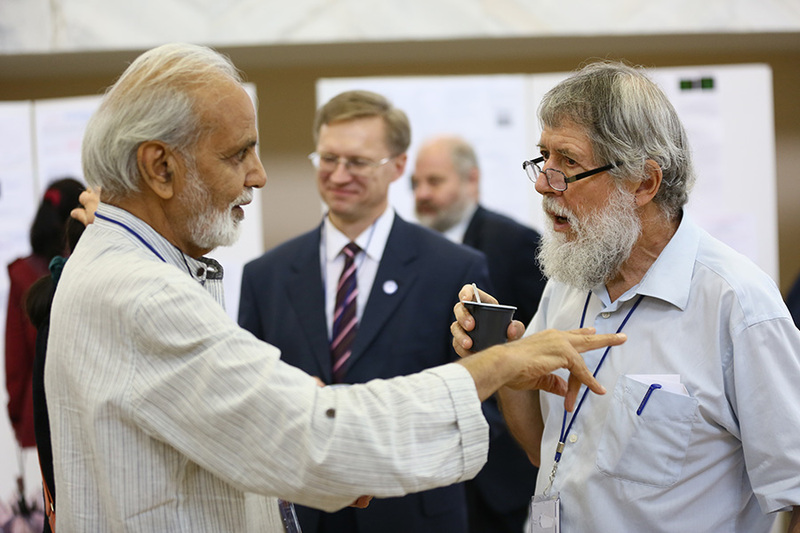 Hendi Seyed Hossein, Critical behavior of black holes in massive gravity. Ibeh Godwin , Reformulation of the O(4,2)xSU(3)xU(1) Gauge Theory of Quantum Gravity using the Generic Torus as Oyibo GUT Geometrical Object. 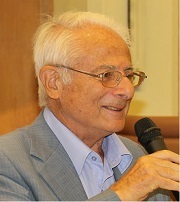 Il'ichov Leonid, Category forms of Non-Signalling and Local Causality and their duals. 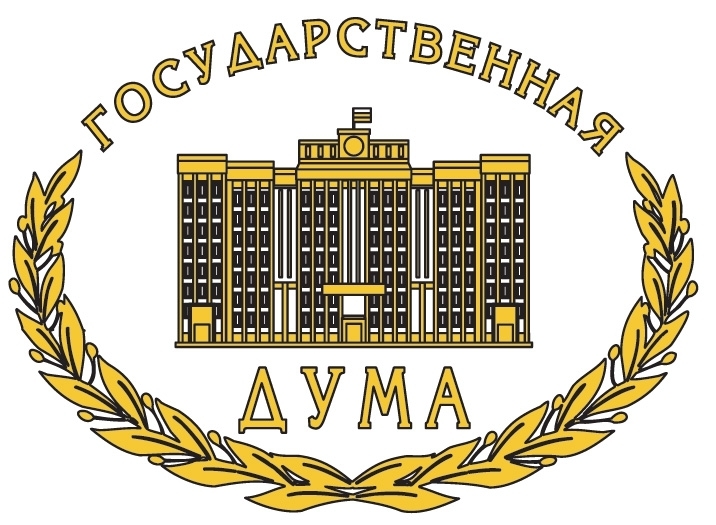 Izmailov G., Zherihina L., Creation of license hours for registration of gravitational waves. Kalita Surajit, Modified gravity to unify sub- and super-Chandrasekhar limiting mass white dwarfs. Kamalov Timur, Instability States and Uncertainty Relation. 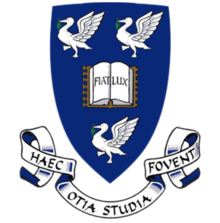 Kauffman Louis, Majorana Fermions, Braiding and the Dirac Equation. Khetzeva M., Markova N., Nonmetricity plane waves in post Riemannian spacetime . 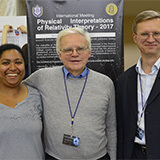 Kirillov A., Savelova E., Wormhole as a possible accelerator of high-energy cosmic-ray particles. 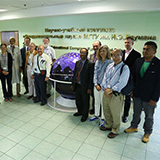 Komshin Aleksandr, Metrological support of technogenic systems based on the study of the influence heliogeophysical space. Konstantinov Mikhail, Superluminal Fields in Bimetric Space-Time Theory. Korotaev Sergey, Macroscopic Nonlocal Correlations in Reverse Time by Data of the Baikal Experiment. 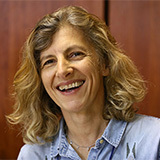 Koryukin V., Koryukin A., Kostromina E., On the metrizability of the affine connectivity space and the unified theory of fundamental interactions. Krysanov Vladimir, Laser Noise Control in the Optoacoustical GW Antenna. 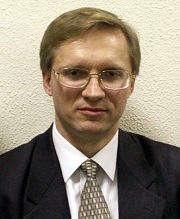 Kudriavtsev Iurii, The phenomenon of the central symmetry and antisymmetry of the celestial sphere and its significance for the cosmological model of The Big Bang. 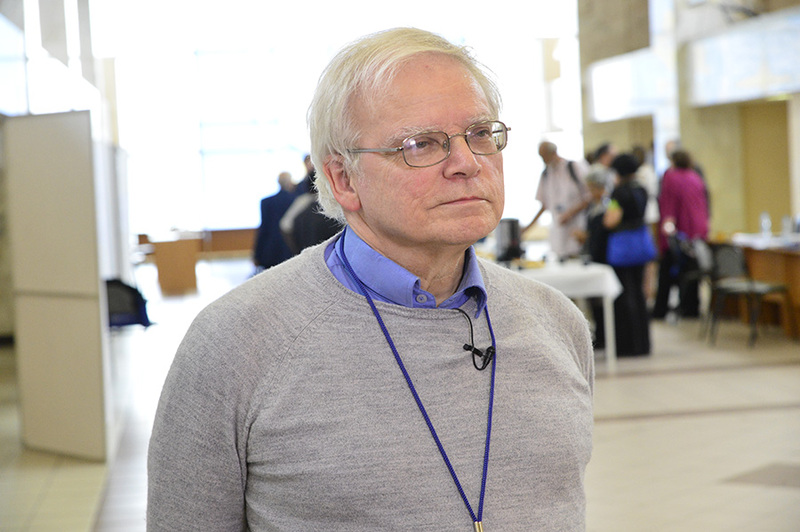 Kudriavtsev Iurii, On physical and non-physical time in Cosmology and Quantum Mechanics. 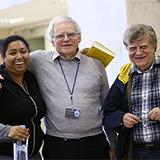 Kulyabov D., Korolkova A., Gevorkyan M., Einstein Numbers. Le Duc Thong, Strong limit on the space-time variation of the fine-structure constant from strong gravitational fields. 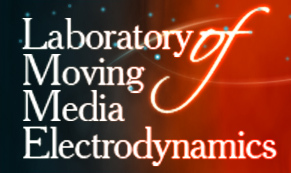 Lebed Andrei, Inequivalence between gravitational mass and energy due to quantum effects at macroscopic level. Levin Sergey, Cosmological Distance Scale: The Scale Factor Problem. Levin Sergey, The cosmological distances scale: The problem of scale factor . Lin Tun, Influence of Control Signal on the Amplitude-Frequency Characteristic of the Damper Based on Magnetorheological Elastomers. 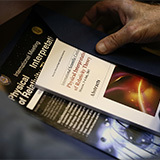 Lukanenkov A.V., Analysis of gravitational experiments. Lukin V., Galanin M., Chechetkin V., 3D hydrodynamical simulation of accretion disk in binary star system. Maharaj S., Brassel B., The Boulware-Deser spacetime: Solutions and features. 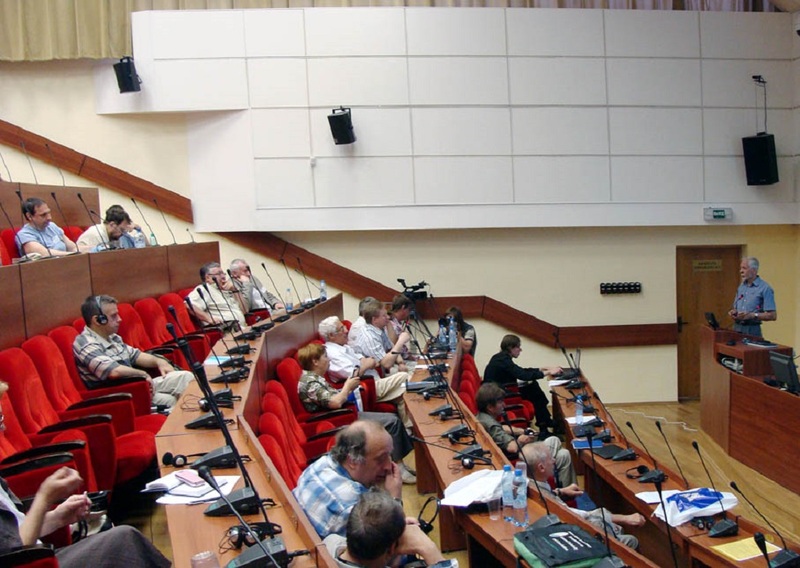 Mayburov Sergey, Nuclear decay oscillations as possible signal of quantum gravity effects. 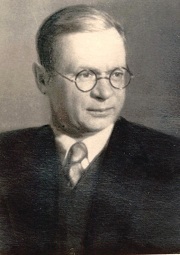 Medeiros Leo, Modified Starobinsky inflation. 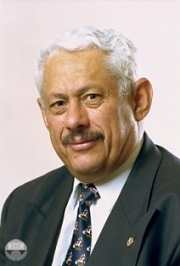 Meierovich Boris, Black hole and dark matter. Phase equilibrium. 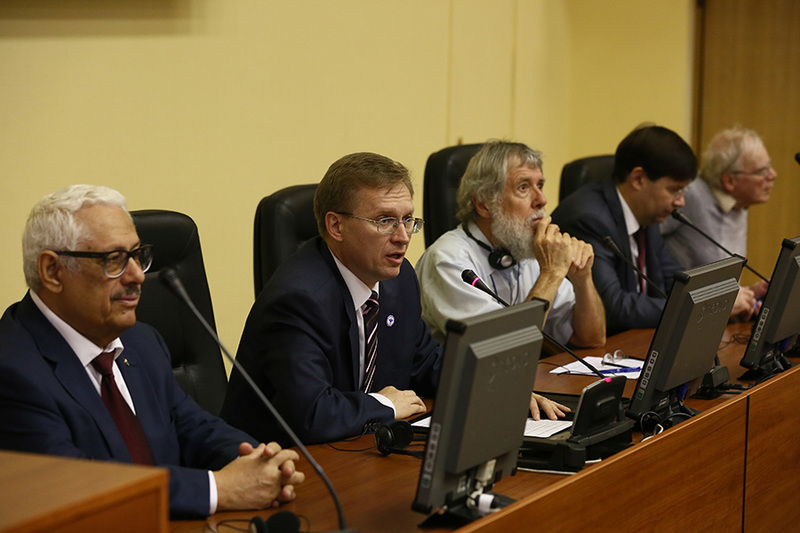 Milyukov Vadim, The space-borne gravitational wave detector TianQin: mission concept and realization. Mishra Bivudutta, New approach to study the dynamical cosmic behaviour in extended gravity. Monakhov Vadim, Vacuum and space-time signature in the theory of superalgebraic spinors. 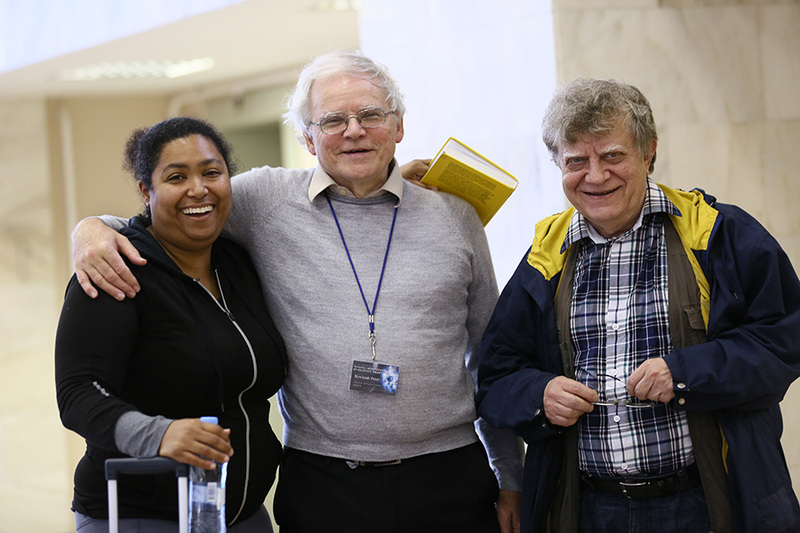 Mordvinov Boris , Large Dirac numbers and a new cosmological model. 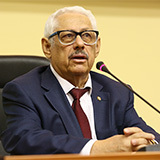 Mubarakshin Iskander, On the main provisions of the special theory of relativity. 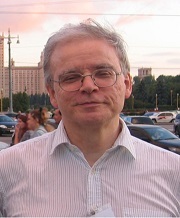 Nikolaev Aleksei, Kinetic scalar curvature extended f(R) gravity. 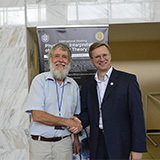 Novikov Dmitriy, Zeldovich-Sunyaev anisotropy effect and the possibility of independent measurement of cosmic microwave background dipole, quadrupole and octupole..
Olkhov Oleg, Geometrical interpretation of time and new formulation of the general theory of relativity. Ovgun Ali, Weak Gravitational Lensing and Gauss-Bonnet Theorem. Patrushev Alexander, Entanglement entropy in strongly correlated systems dual to anisotropic gravitational models. Pavlov Yu., Grib A., Penrose effect in the rotating coordinate system. Pavlov Yuri, Penrose effect in the rotating coordinate system. Petrov Alexander, On properties of constant curvature black holes in the Einstein-AdS gravity. Petrov Vladimir, On the first general formulation of the relativity theory. Petrova Ludmila, Formatting physical fields and pseudometric manifolds. The dark matter. Pinto Innocenzo M., Reducing Optical Coating Thermal Noise in Interferometric Detectors of Gravitational Waves. 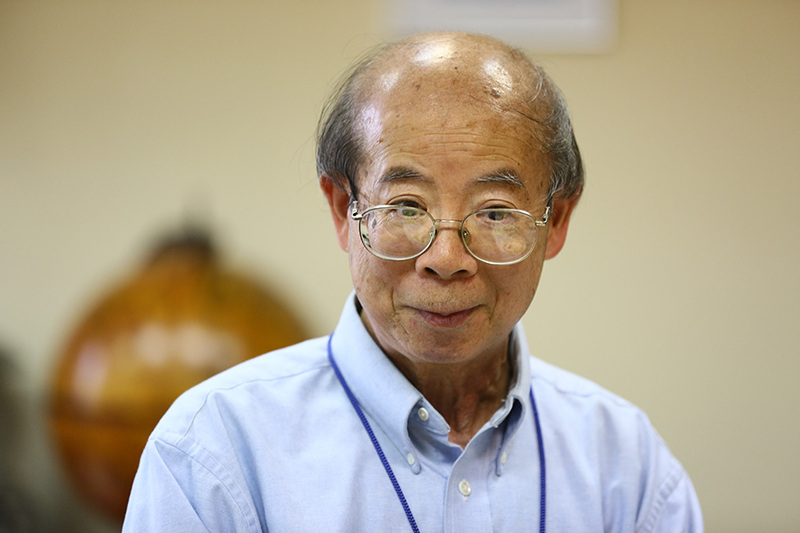 Pokrovsky Yu.E., Stable Compact Objects from Dark Matter in Planetary Systems. Postnov Konstantin, Astrophysical channels of formation of double merging black holes. Pustovoit V., Gladyshev V., Kauts V., Sharandin Eu., Kautenko A., Portnov D., Chervon S., High frequency gravitational waves generation by optical method. Ray Pratik Premadarshi, Stability of mix-fluids in dark energy cosmological models and an advanced diagnostic analysis. Romero Carlos, One Hundred Years of Weyl's (unfinished) unified field theory. Rowlands Peter, Gravity: Local or Nonlocal. 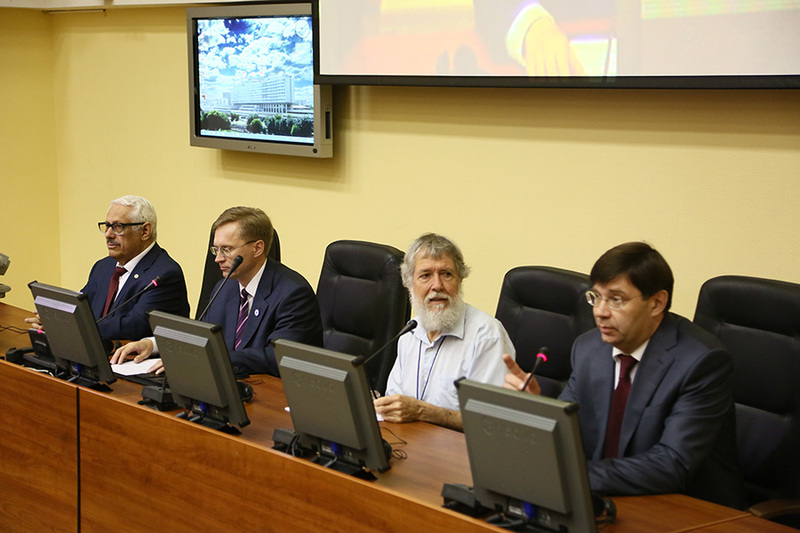 Rudenko V., Gusev A., Kauts V., Kulagin V., Litvinov D., Space gravitational experiments with quantum standards of frequency and time. 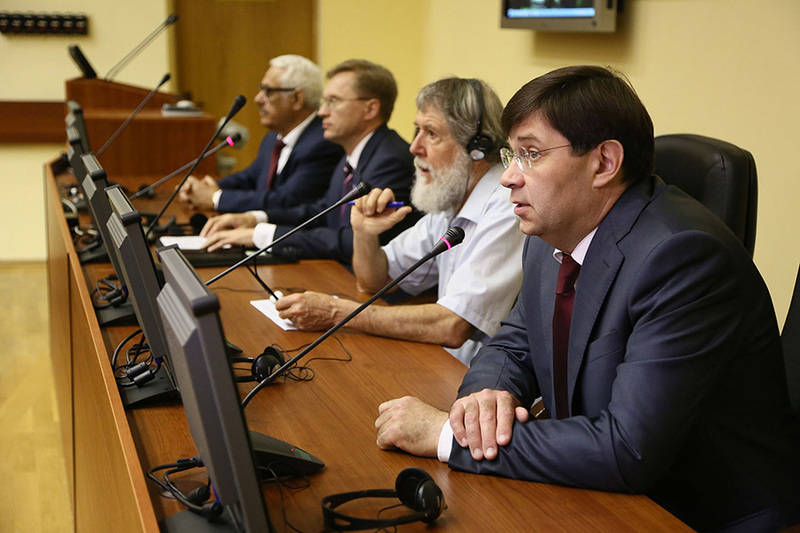 Rudenko Valentin, "New orbital measurement experiments gravitational frequency shift of electromagnetic signals". Sahoo Parbati, Phantom fluid wormhole (WH) in $f(R,T)$ gravity. Sahoo Pradyumn Kumar, Wormhole geometry. Saibatalov Rustam, Is the Universe Rotating?. 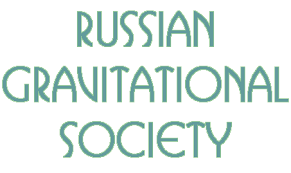 Sazhin Mikhail, Nano Hertz Gravitational Waves: Detectors and Sources. Sharif Muhammad, Anisotropic Solutions and Minimal Geometric Deformation. 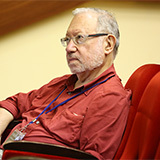 Shishanin Andrei, LCFT and Liouville theory. 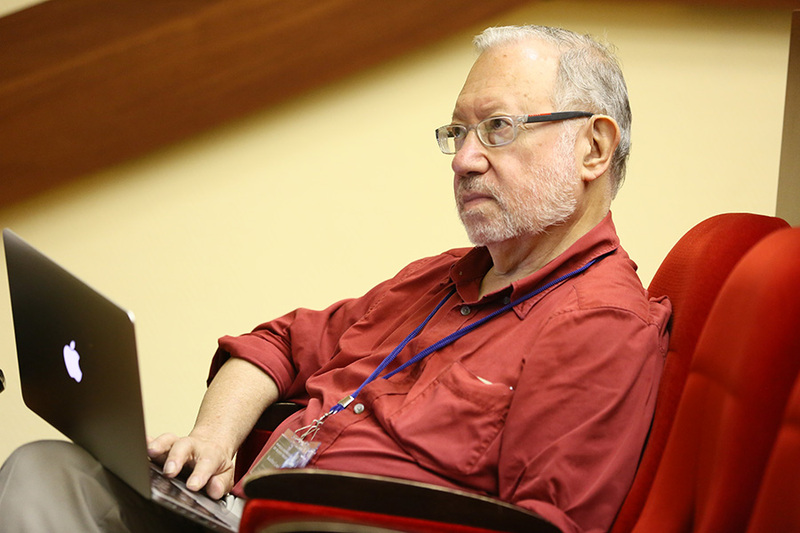 Silagadze Zurab, Non-local imprints of gravity on quantum theory. Singh Vijay, Some exact solutions of anisotropic cosmological models. Siparov Sergey, Registration of gravitational waves emitted from periodic astrophysical sources. 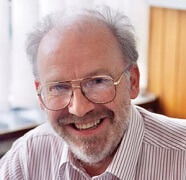 Trell Erik, A Space-Frame Periodic Table Representation System Testing Relativity in Nucleosynthesis of the Elements. Tripathy Sunil Kumar, Bouncing models in extended gravity theory. Tsipenyuk Dmitry, APPROACH TO THE GAUGE THEORIES FOR MASSIVE FIELDS IN THE EXTENDED SPACE MODEL. 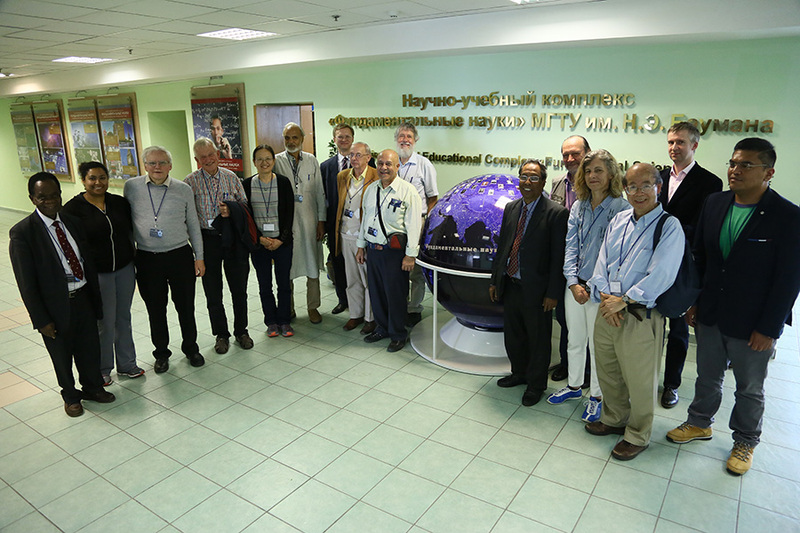 Vargashkin Vladimir, The analysis of temporary anisotropy of CMB according to databases of the probes WMAP and Planck. Vizgin Vladimir, Foundations of physics and the Noether theorem. 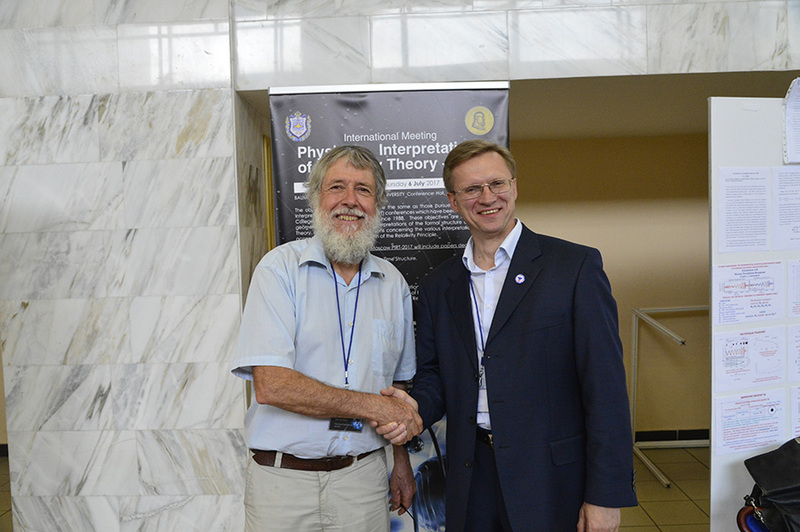 Vladimirov Yuriy, Physical interactions in three metaphysical paradigms. Vyatchanin Sergey, Thermal noise of beam splitters in laser gravitational wave detectors. 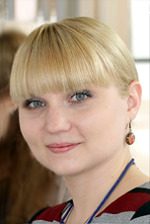 Yurasov N., Yurasova I., On the temperature distribution in a black hole. Yurasov Nikolay, On the nature of a particle spin in the standard model. Zloshchastiev Konstantin, Logarithmic superfluid theory of physical vacuum. 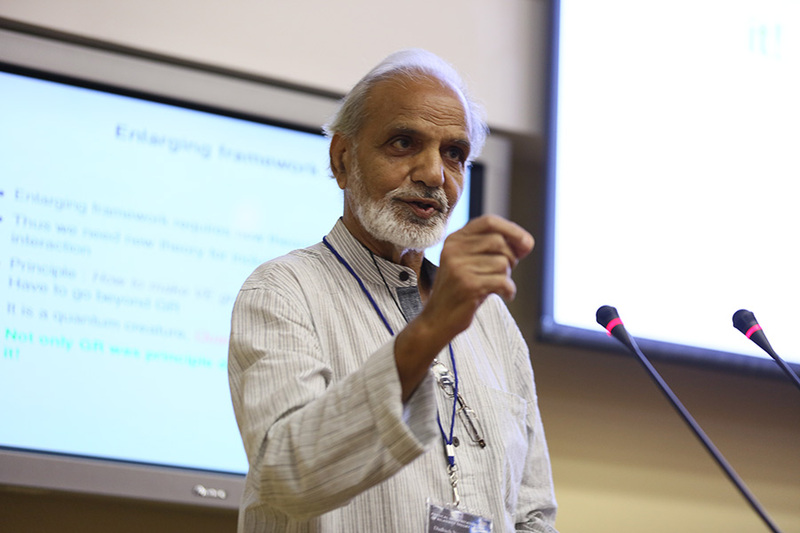 Zubair Muhammad, Evolution of Collisional Matter in Modified Teleparallel Theories. 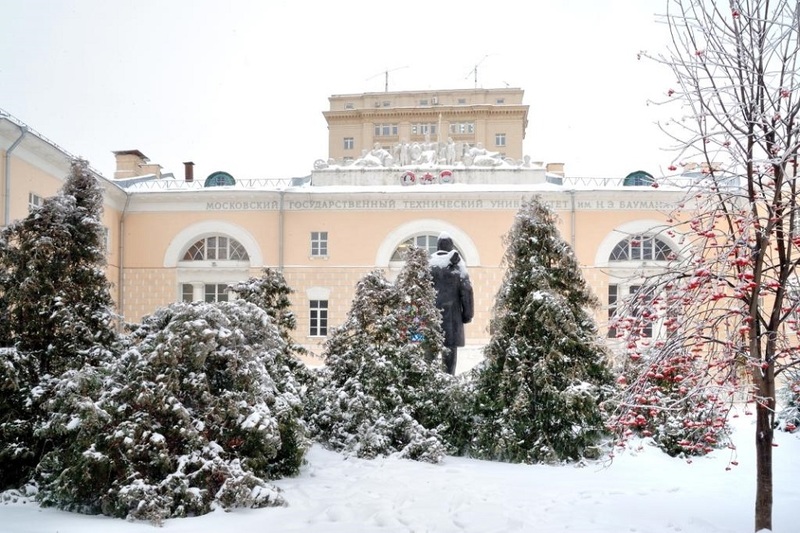 The history of our institution, the Bauman MHTS (Moscow Higher Technical School), or presently the Bauman MSTU (Moscow State Technical University) dates back to 1830, when Emperor Nicholas I confirmed the "statute of the industrial school" to open in Moscow. 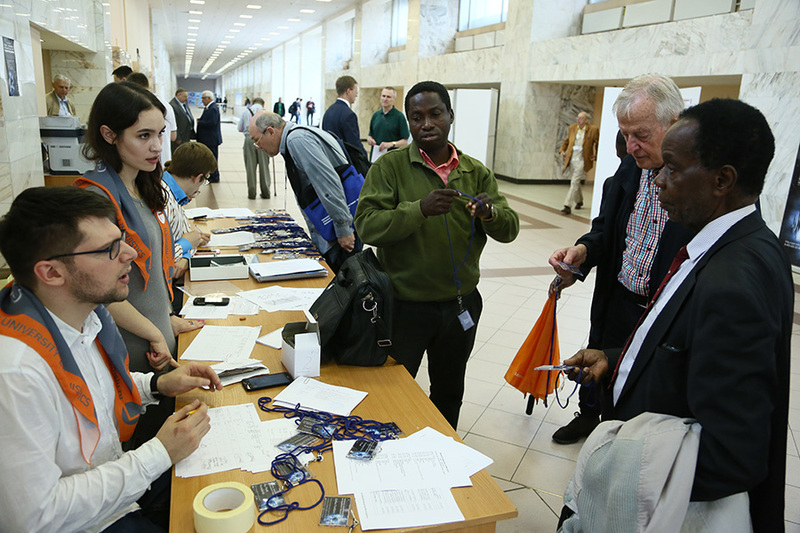 Russia's developing industry needed skilled labor in many trades. 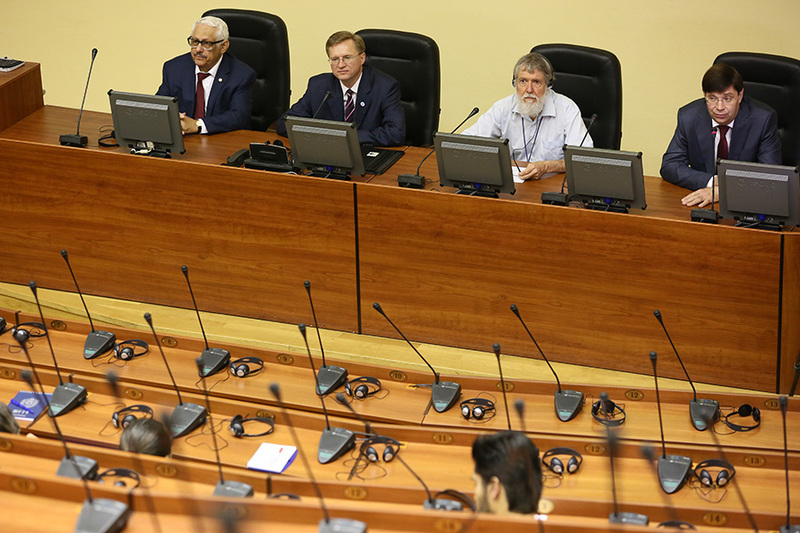 So, the aim of the new school was to train skillful artisans with a solid theoretical background to improve and spread skills in various trades all over Russia. 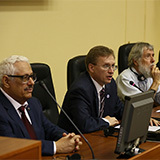 The training personnel of the school comprised graduates of the Moscow University who specialized in mathematics, mechanics, physics and chemistry. 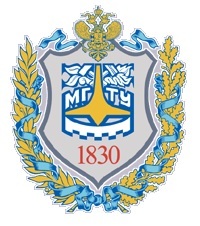 By 1868 the academic standards of the school were so high that it was reorganized into a special institution of higher learning (Imperial Moscow Technical School or IMTS). 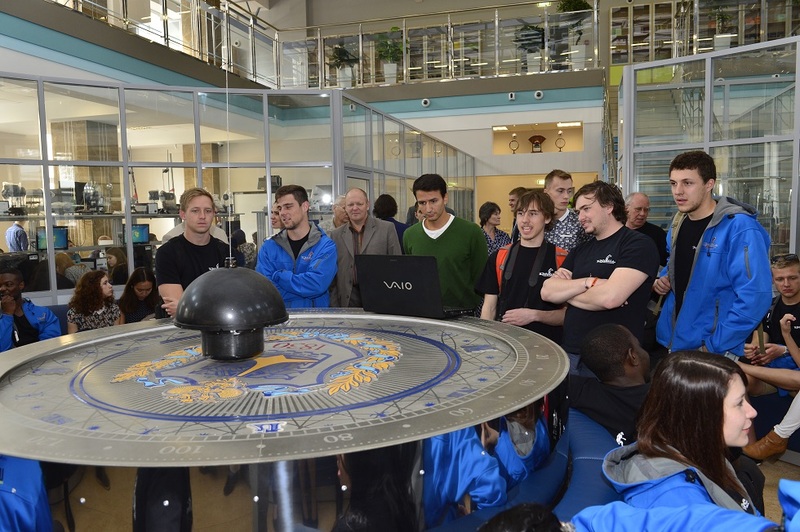 Its major task now was to train mechanics in construction, engineering and manufacturing. The IMTS was financially supported by the Government and industrialists. Its management was democratic. Its teaching staff boasted of many talented scientists who maintained contacts with the West. 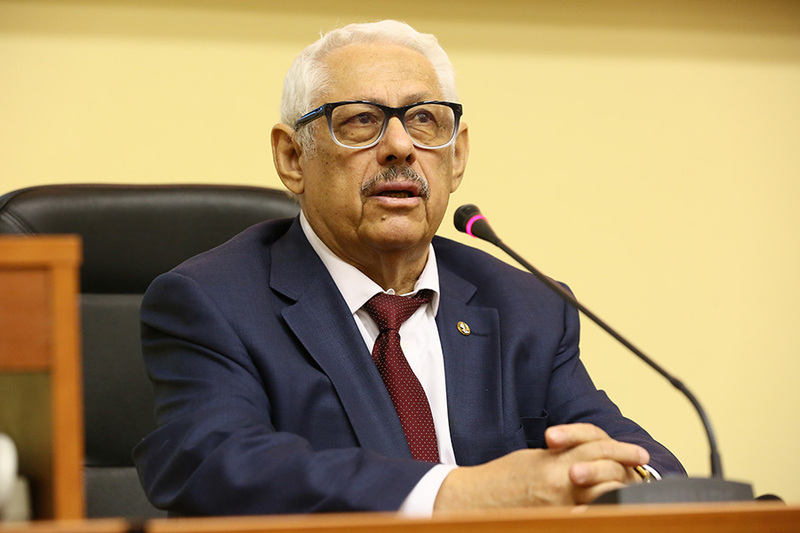 All these circumstances helped the School to achieve outstanding successes in manufacturing processes and practices in the chemical, food and textile industries, metal and wood processing, and structural mechanics. During the 1876 Exhibition in Philadelphia the practically-minded Americans highly appreciated and admired the methods used by the School, recognizing them as an original "Russian system" of training engineers. 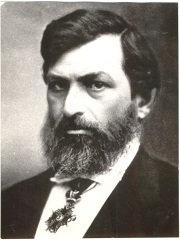 In 1876, Dr. Wrinkle, President of the Boston Institute of Technology, writes to V.K.Dela-Vos, Director of the Imperial Moscow Technical School that Russia is a recognized leader in handling the important problems of engineering education, and that no other system will hence be used in America. IMTS system of handicraft education of engineers was recognized all over the world. «Russian method» became especially well-known after Vienna World Exhibition (1873) where it was awarded Big Gold Medal. 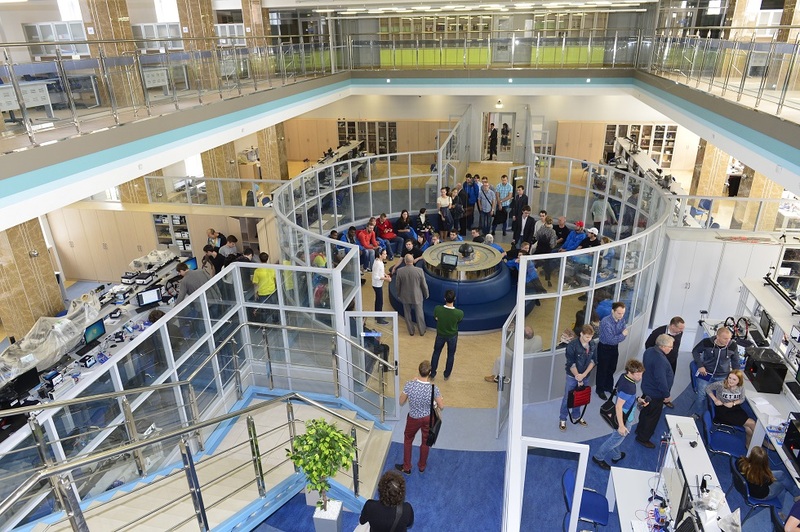 IMTS was recognized the best machine-building education institution of Russia and joined the ranks of the world leading polytechnic schools. 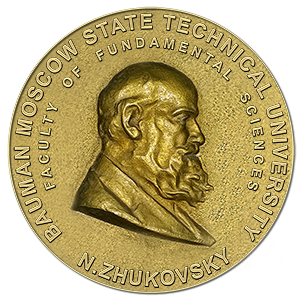 A lot of outstanding scientists taught in IMTS, such as D. Mendeleev, N. Jukovsky, P. Chebychev, S. Chaplygin, A. Yershov, D. Sovetkin, F. Dmitriev, A. Letnikov, A. Gavrilenko. 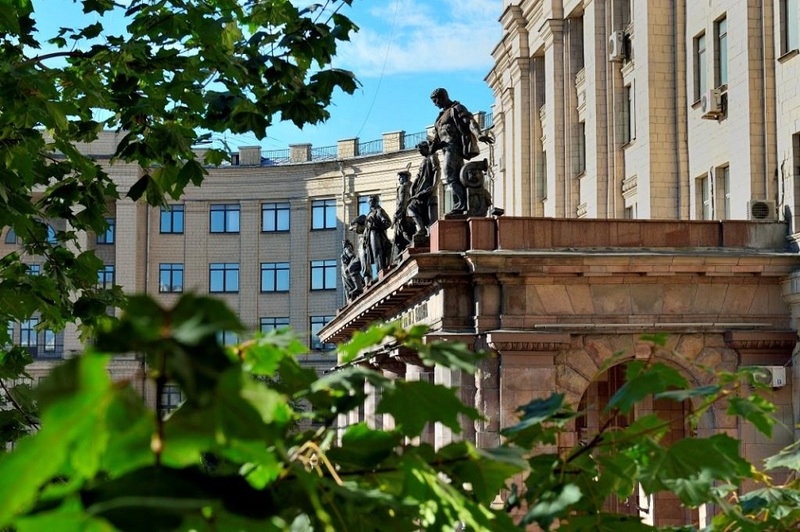 The following famous scientists and specialists have graduated our school: Academician A.N. Tupolev, S.P. Korolev, and many other aircraft and rocket designers and developers; Academician N.A. 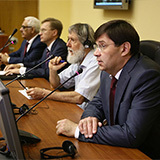 Dollezhal, chief designer of atomic piles; Academician A.I.Tselikov, chief designer of metallurgical engineering; Academician S.A.Lebedev, chief designer of computers. 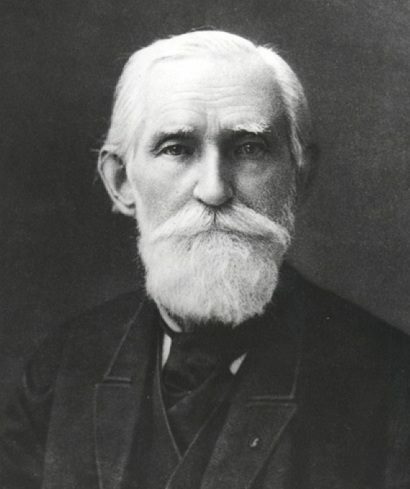 Pafnuty Lvovich Chebyshev (16 May 1821 – 8 December 1894) was a Russian mathematician. Chebyshev is known for his work in the fields of probability, statistics, mechanics, and number theory. The Chebyshev inequality is used to prove the Weak Law of Large Numbers. Chebyshev is also known for the Chebyshev polynomials. 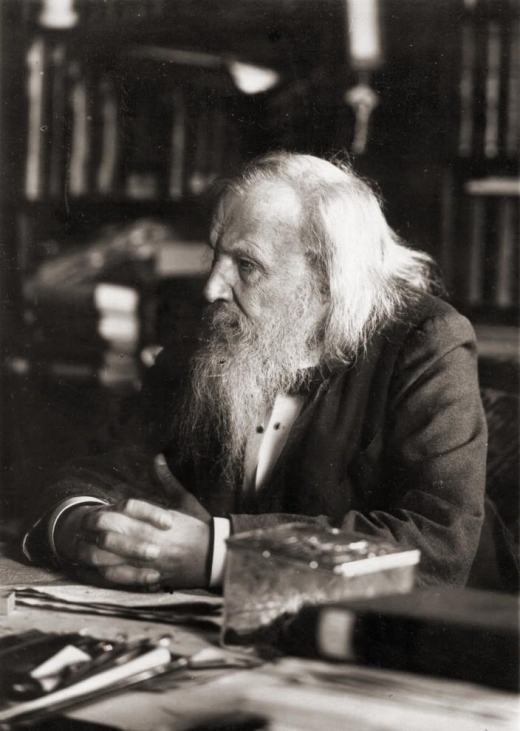 Dmitri Ivanovich Mendeleev(8 February 1834 – 2 February 1907) was a Russian chemist and inventor. He formulated the Periodic Law, created his own version of the periodic table of elements, and used it to correct the properties of some already discovered elements and also to predict the properties of eight elements yet to be discovered. 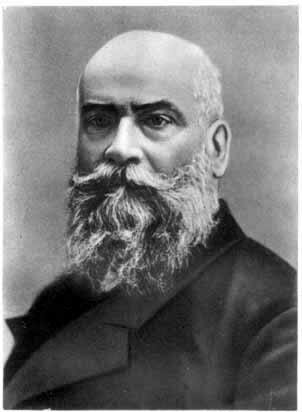 Nikolay Yegorovich Zhukovsky (17 January 1847– 17 March 1921) was a Russian scientist and a founding father of modern aero- and hydrodynamics. Whereas contemporary scientists scoffed at the idea of human flight, Zhukovsky was the first to undertake the study of airflow. 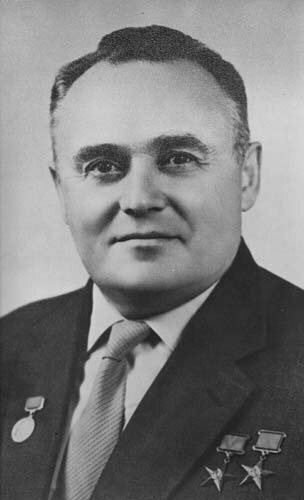 Sergei Pavlovich Korolev (12 January 1907 – 14 January 1966) was the lead Soviet rocket engineer and spacecraft designer in the Space Race between the United States and the Soviet Union during the 1950s and 1960s. He is considered by many as the father of practical astronautics. 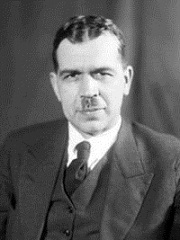 Vladimir Nikolayevich Chelomey (30 June 1914 – 8 December 1984) was a Soviet mechanics scientist, aviation and missile engineer. 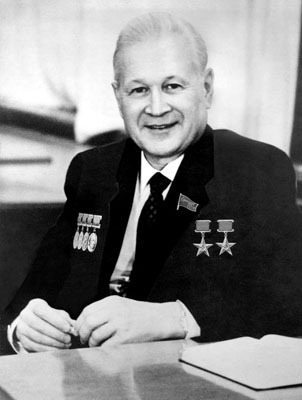 He invented the very first Soviet pulse jet engine and was responsible for the development of the world's first anti-ship cruise missiles and ICBM complexes. The Laboratory Building of BMSTU was opened in 2004. 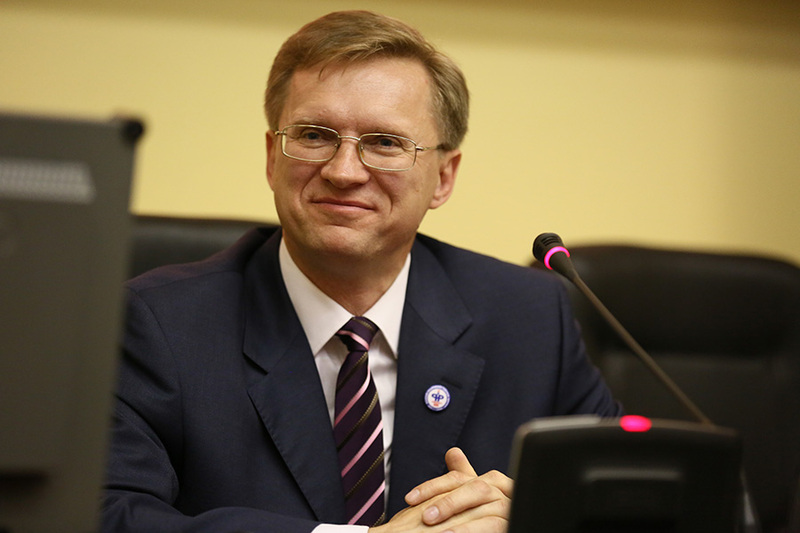 At the opening ceremony Minister of Education Vladimir Filippov called it "a symbol of the Russia’s rebirth". The total area of the 11-storey building is over 80 thousand sq. meters (equivalent of 11 football fields). 5 thousand students of all departments can have classes there simultaneously. 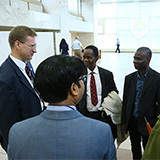 The building houses 100 lecture halls, 20 computer classrooms, 19 elevators, a library, which can store nearly 1 million books, a reading room for 700 visitors, a concert hall having almost 1,200 seats and a conference hall for 130 seats. 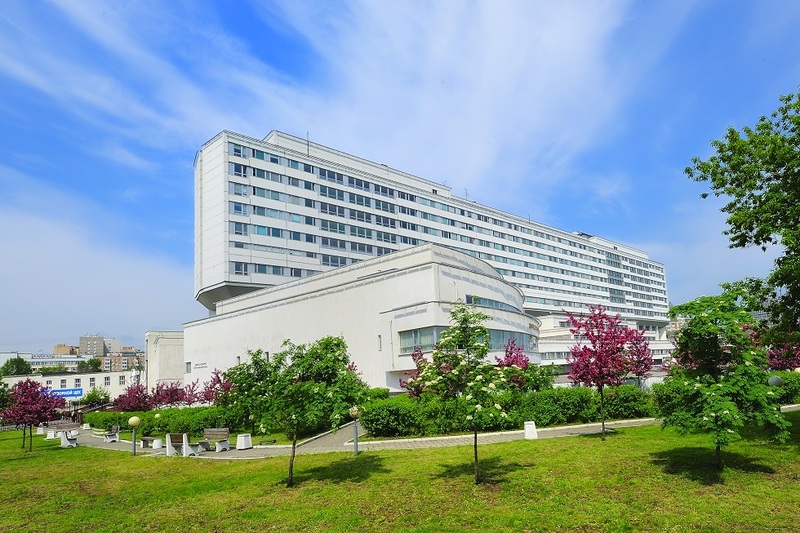 The Laboratory Building stands on the bank of the River Yauza and its similarity with a ship's hull explains its nickname, that is "an icebreaker". 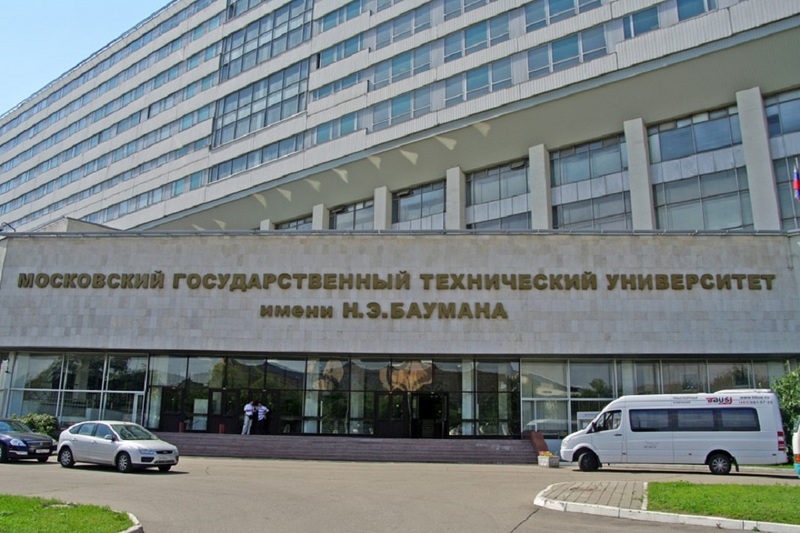 The Fundamental Science Scientific and Training Complex (visit http://fn.bmstu.ru for the Russian version and http://fn.bmstu.ru/index.php/en - for the English version) is located on the 4th, 6th, 8th, 9th and 10th floors of the Laboratory Building as well as in the main building on 2nd Baumanskaya street. 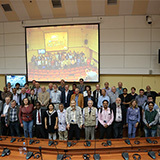 The PIRT Conference has been held in the Conference Hall of the Laboratory Building since 2005. 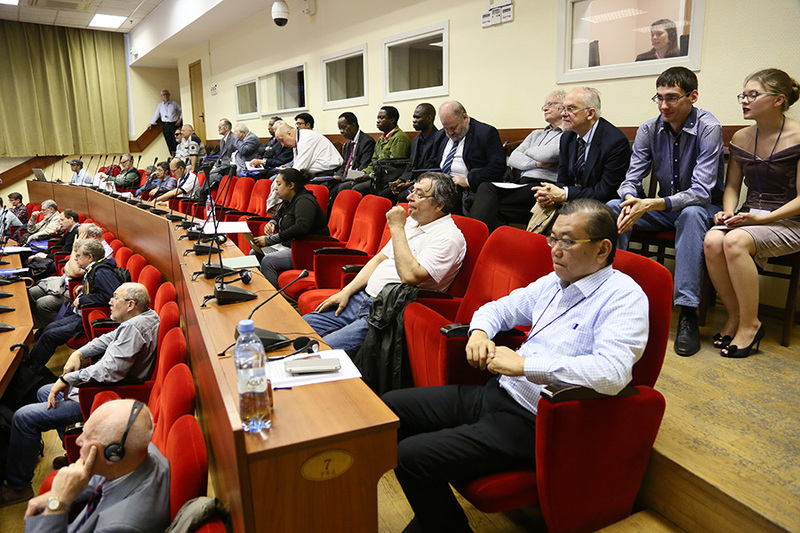 The PIRT Conference is a event held in September since 1988 at Imperial College in London and since 2003 at Bauman University in Moscow. 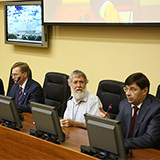 Initially the conference aimed to allow free communication for foreign scientists with scientists from the former Soviet Union. 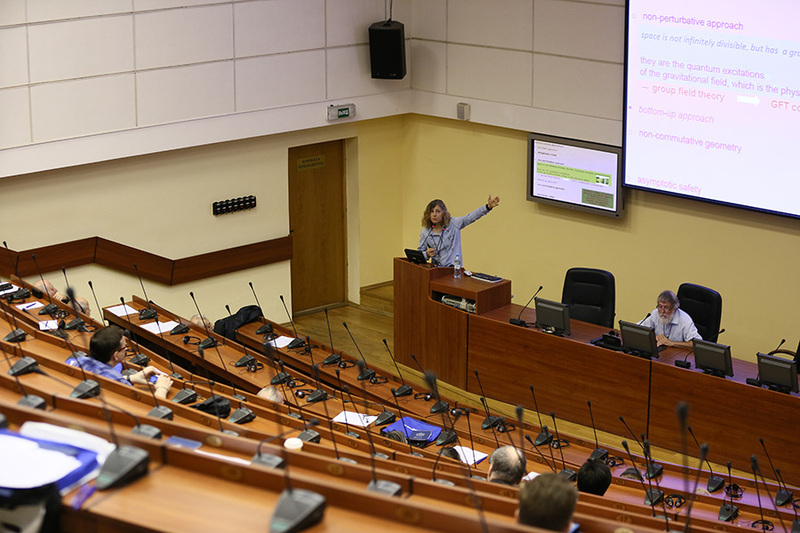 It was planned to hold a conference in Kazan University (Russia), where one of the founders of non-Euclidean geometry N.I. 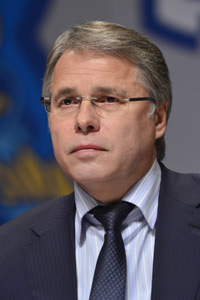 Lobachevsky used to work. 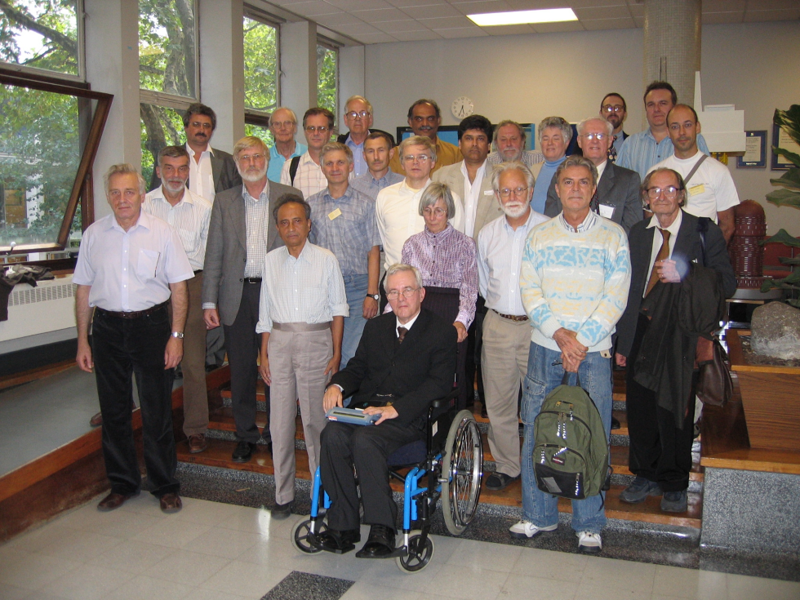 In 1988 the first PIRT conference was organized at Imperial College (London), where it is held every two years. 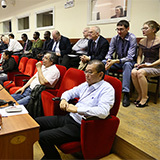 The conference is notable for the freedom of scientific views, large reports (up to 40 min), Proceedings published and the participation of Russian scientists. 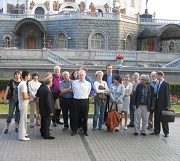 In 2003 the first PIRT conference was held at BMSTU in Moscow. 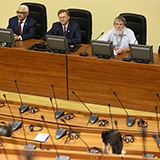 The event was a success, and it was decided to hold a conference in Moscow every two years. 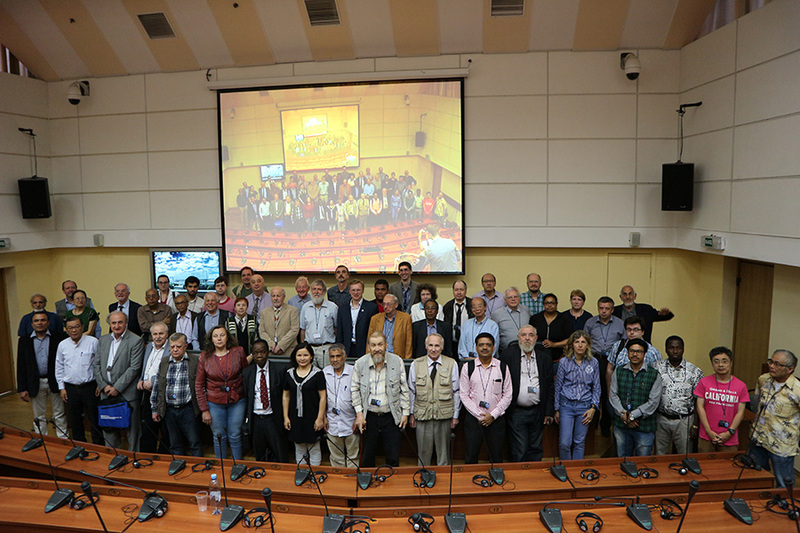 The PIRT Conference was also held in Calcutta (India) and Budapest (Hungary). 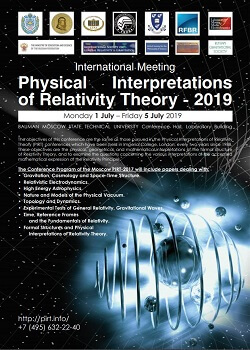 The PIRT Conference features talks on multi-dimensional theory of gravity, gravitational-wave experiments, dark matter, cosmic microwave background, space anisotropy search, tests of the theory of relativity and electrodynamics. Take bus number 817 to the underground station «Planernaya» (about 45 min., 21.5 km). Then go to the underground station «Tverskaya», then go to the underground station «Teatral'naya», and go over to the underground station «Ploshchad' Revolyutsii», then go to the underground station «Baumanskaya». Take bus number 851 to the underground station «Rechnoi Vokzal» (about 43 min., 21.7 km). 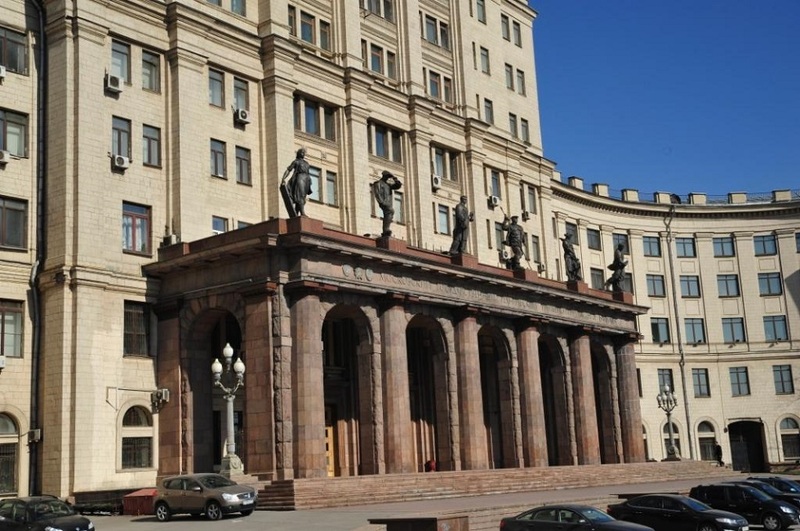 Then go to the underground station «Teatral'naya», (about 21 minutes) and go over to the underground station «Ploshchad' Revolyutsii», then go to the underground station «Baumanskaya». 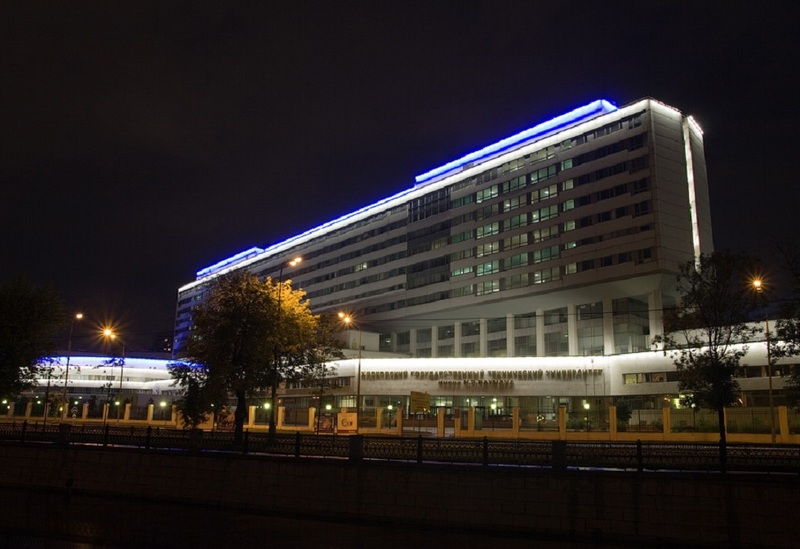 From station «Baumanskaya» to BMSTU. 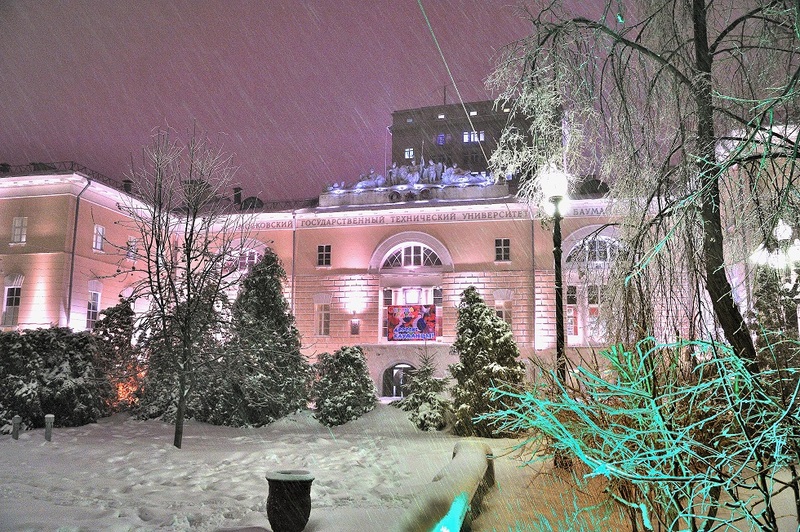 From station «Baumanskaya» walk to the Rubtsovskaya nab., 2/18 (about 15 minutes). 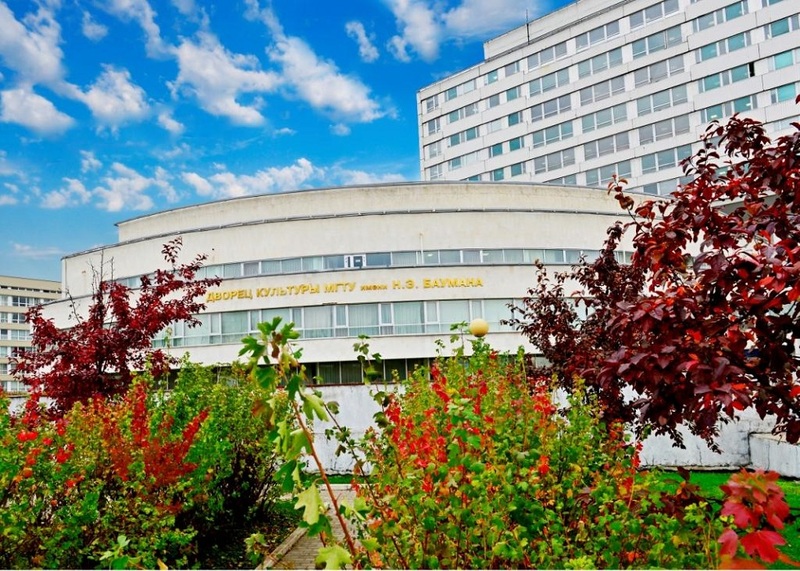 As BMSTU hasn't got a special hotel for guests, you can book a room by yourself in the hotel of Izmailovskii Tourist Complex. 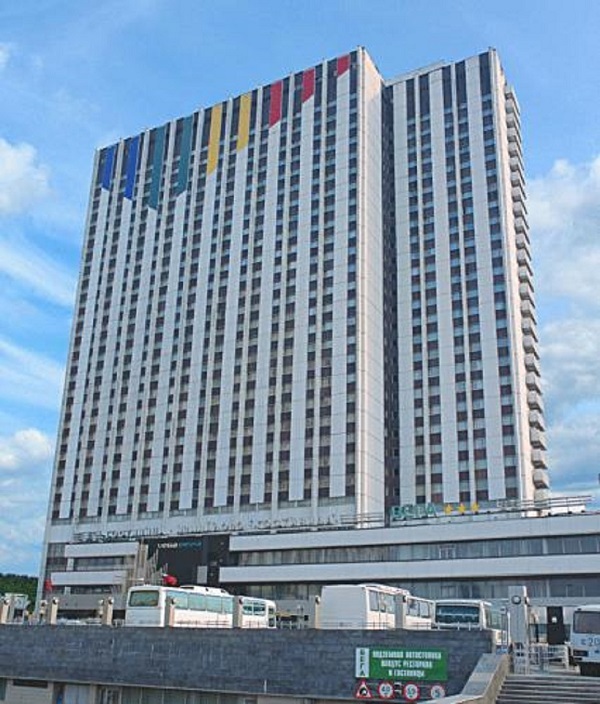 The hotel is nearby the underground station "Partizanskaya" (3 stations from the underground station "Baumanskaya"). 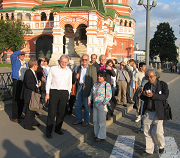 Address: 105187, Moscow, Izmailovskoye Shosse, 71, Bldg. 3V, "Vega" Complex. Registration fee - 200 Euro. 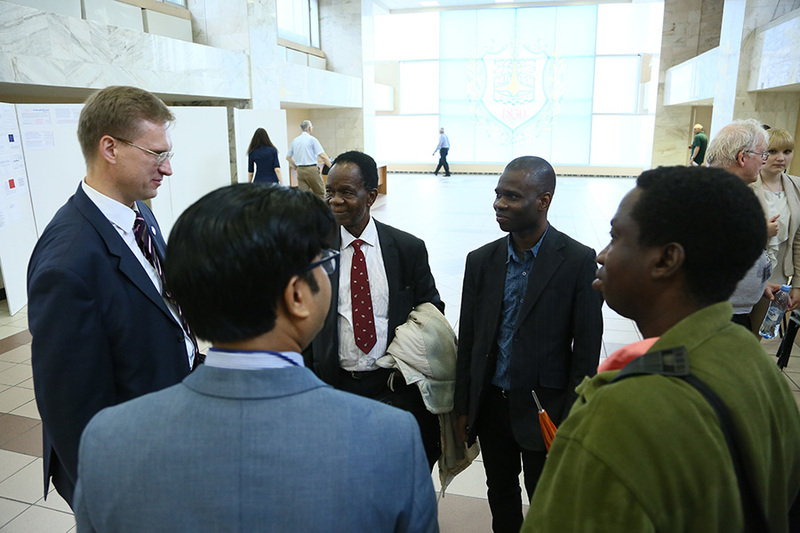 Financial support is provided for scientists from developing countries, for students and post-graduate students. 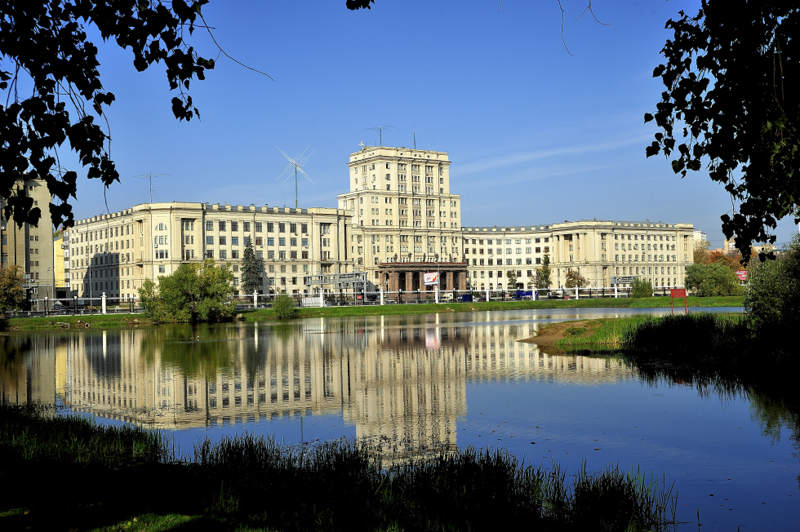 The Moscow PIRT-2017 will be held in the Study Laboratory Building of BMSTU, situated at the bank of river Yauza. Rubtsovskaya naberezhnaya 2/18. 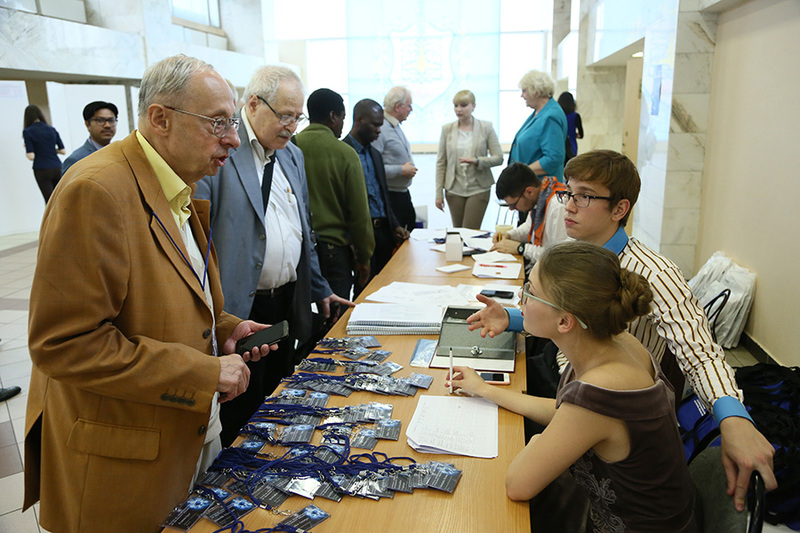 For foreign participants Organizing Committee will preparethe official letters of invitation for the Russian Embassy. 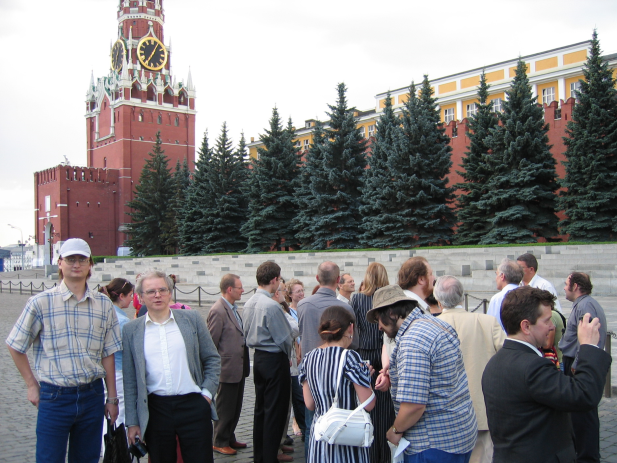 An excursion to the Grand Kremlin Palace and the the Palace of the Facets is planned. The Grand Kremlin Palace was built from 1837 to 1849 in Moscow, Russia on the site of the estate of the Grand Princes, which had been established in the 14th century on Borovitsky Hill. Designed by a team of architects under the management of Konstantin Thon, it was intended to emphasise the greatness of Russian autocracy. Konstantin Thon was also the architect of the Kremlin Armoury and the Cathedral of Christ the Savior. 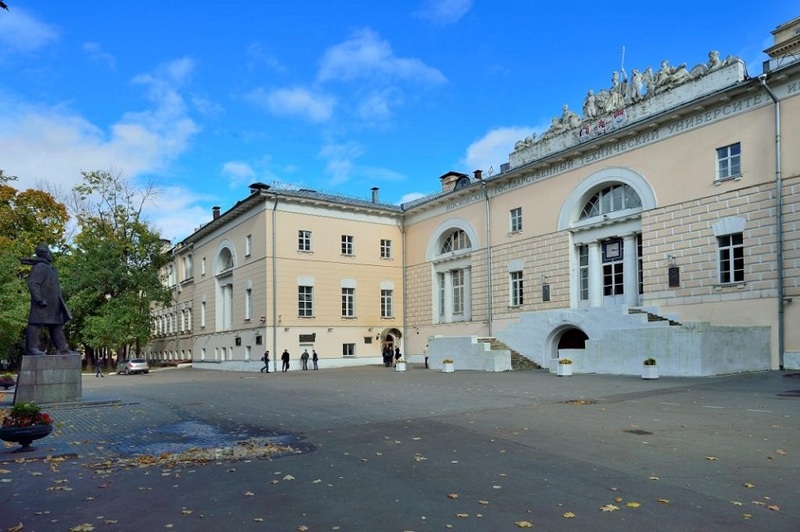 Its five reception halls (Georgievsky, Vladimirsky, Aleksandrovsky, Andreyevsky, and Ekaterininsky) are named for orders of the Russian Empire: the Orders of St. George, Vladimir, Alexander, Andrew, and Catherine. 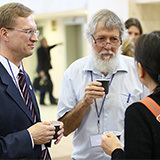 The time for coffee breaks and for lunch will be in programe of the Meeting. The Organizing Committee is planning to give a dinner party for participants. 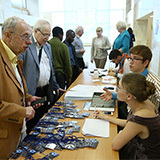 English is the working language at the conference. 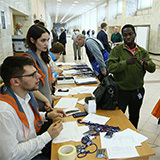 The Organizing Committee can arrange simultaneous translation for participants during some parts of the Conference (the opening and the closing of the Conference, and reports) and excursions. 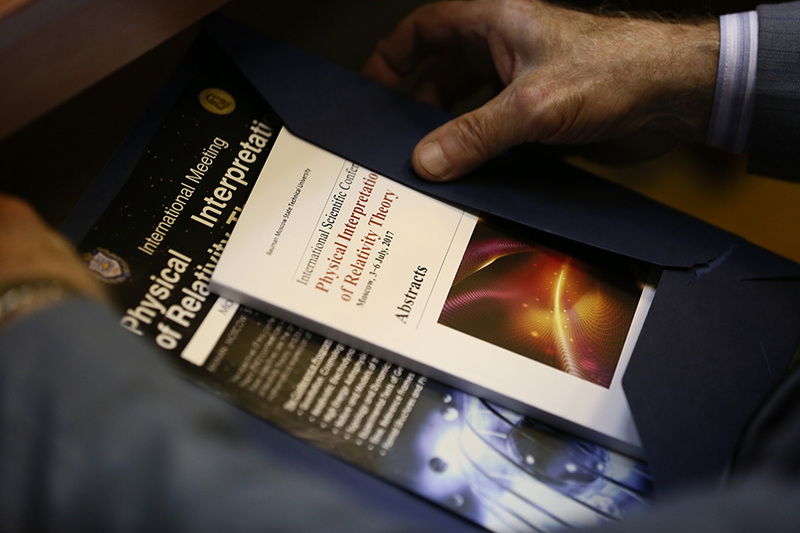 According to the results of the conference some papers will be selected for publishing in a separate issue of Journal of Physics: Conference Series (JPCS), which is included in Scopus and Web of Science database. The publication of papers is paid. The cost of one paper now is 35 pounds. The articles should be thoroughly revised and put into shape in according to requirements. The format of files of abstracts and papers is *.docx and *.doc (you also should send the hard copy in PDF format). An article should be formed as one file. The paper includes the abstract. Authors must prepare their papers using Microsoft Word according to the guidelines and templates, and then convert these files to PDF. Please fill in all report co-authors. 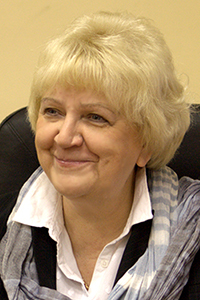 Dr. Tyannikova Nina Dmitrievna (Bauman MSTU, Russia).